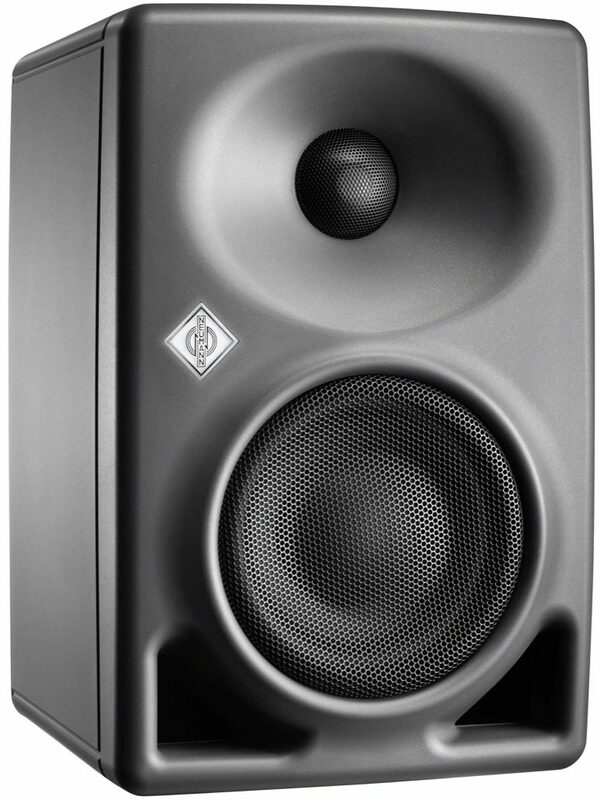 The Neumann KH 80 DSP two-way active bi-amplified monitor features a DSP engine with network control, a Mathematically Modeled Dispersion Waveguide (MMD), an analog input and an extensive range of mounting hardware. 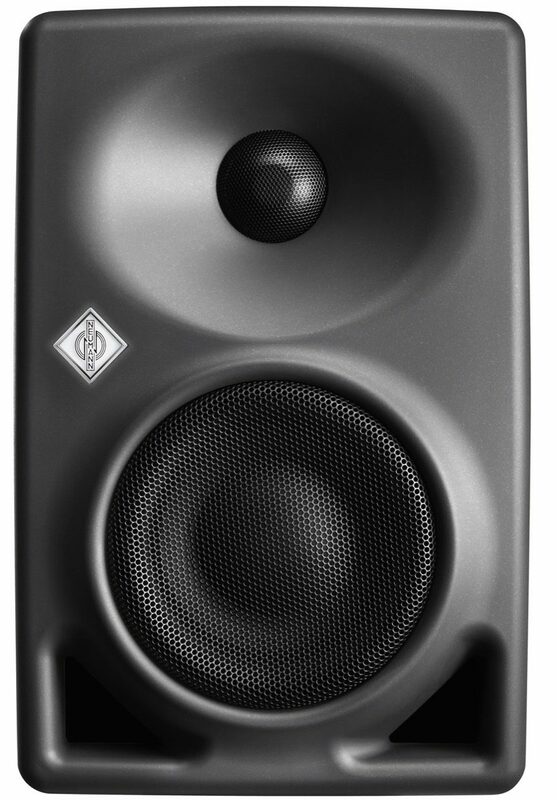 This allows the loudspeaker to be used in diverse acoustical conditions, with any source equipment and in a wide variety of physical locations. 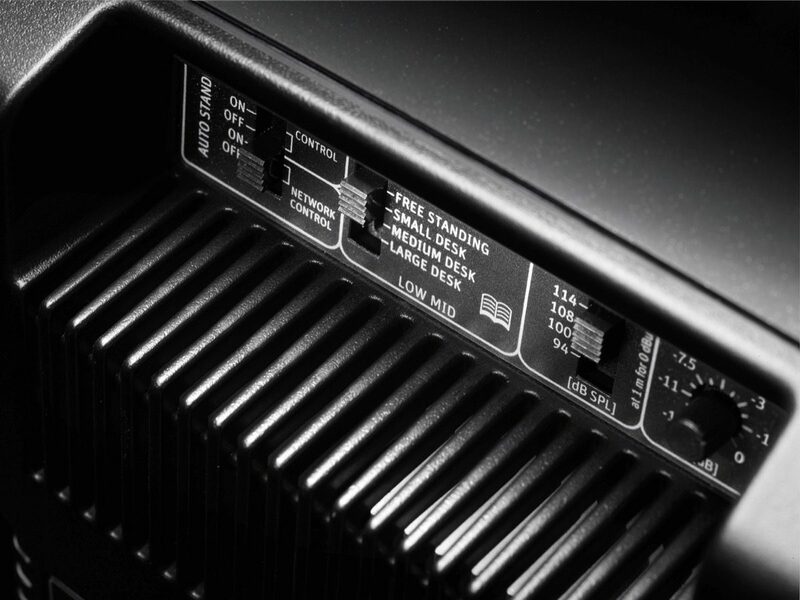 The KH 80 represents the best in acoustic and electronic simulation and measurement technologies to ensure the most accurate sound reproduction possible. 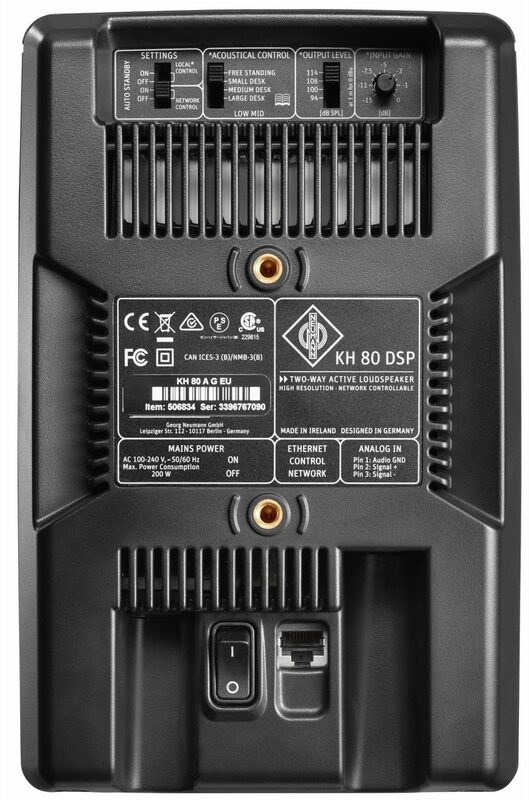 The KH 80 DSP is designed for use as a near-field monitor, as a front loudspeaker in small multi-channel systems, or as a rear loudspeaker in a compact multi-channel systems. It can be used in project and music studios, broadcast centers, OB vans, and post production studios for tracking, mixing, and mastering. It is also well suited for use in domestic environments. 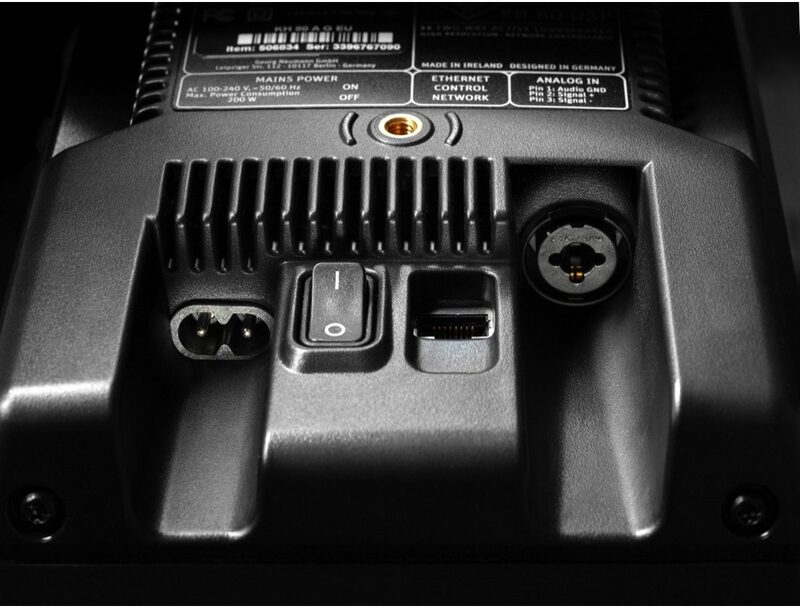 - Protection circuitry: Independent soft clip, peak and thermo limiters for woofer and tweeter. Woofer excursion limiter. - Infrasonic filter - frequency; slope: 61 Hz; 12 dB/oct. - Displays and indicators: Normal operation: Neumann logo "White", Identification: Neumann logo "Rose", Limit / clip / errors: Neumann logo "Red"
- Mounting points: 2 x M6 threaded inserts with 70 mm spacing on back panel, depth from outside of cabinet 16 mm (5/8"). "These sound way bigger then they are!" Overall: I just got my pair and dont do reviews very often but these monitors are some of the best sounding speakers I have heard in a long time. 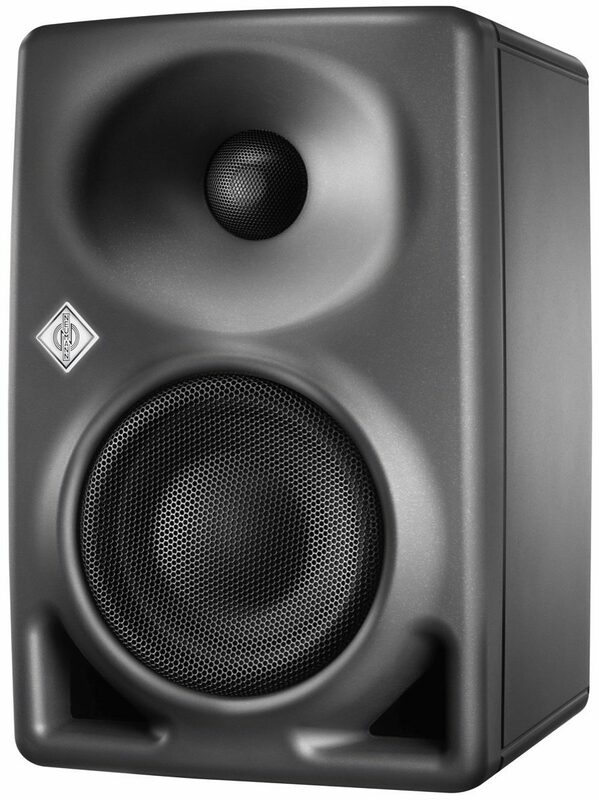 I have worked on msp7s Hr824s mk 1 to name a few and the kh80s have become an instant favorite. I will be getting 3 more for a 5.1 set up. And yes there is plenty of low end. You will be suprised by what comes out of these little monsters! !